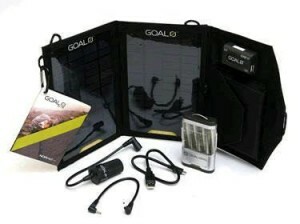 NRG Energy, an independent power producer, is acquiring portable solar device maker Goal Zero for an undisclosed sum. It will incorporate the five-year-old company into its NRG Home division, which focuses on residential customers, offering solar and home energy products and services. Goal Zero raised $10.9 million in venture capital from investors including In-Q-Tel, Marcato Partners, and Sorenson Capital. The company grew from $250,000 in revenue in 2009 to $35 million in 2013. The company currently employs 120 people. According to Jeff Crystal, COO of Brooklyn, N.Y.-based Voltaic Systems, another portable solar power charging company, there are some strong trends underpinning growth in this market. People are now more dependent than ever on portable devices, and are even communicating with friends and family during trips to far-flung places, such as regularly posting trip updates in the form of videos and blogs, he says. Also, consumers are now more aware that solar technology actually works, and it has become cost effective enough for manufacturers to develop price competitive portable systems. Some key areas of growth for portable solar powered charging systems include charging small-scale systems for emergency preparedness, and applications in the developing world, says Crystal. Launched in 2004 in Berkeley, Calif., Better Energy Systems develops solar chargers for mobile phones, portable digital assistants, music players, digital cameras, GPS systems, and game consoles. In addition, the company manufactures bags and cases handcrafted from re-engineered rubber. It raised $2.2 million in venture capital funding in August 2010. Voltaic Systems is a portable power company based in Brooklyn, N.Y. Its products include solar chargers for iPhones, tablets and laptops. 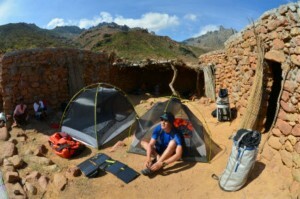 It offers stand alone chargers, solar backpacks, bags, solar kits, and batteries. BirkSun LLC, launched in January 2013, is a vertically integrated manufacturer of solar backpacks, external batteries, and USB cables. Founded in 2009, Brooklyn, N.Y.-based BioLite develops a portable stove that uses small branches and twigs as fuel, while a fans blows air into the fire to improve combustion, thereby reducing air pollution. Biolite’s thermoelectric technology powers the fan and the extraneous energy can be used to charge small electronics like mobile phones and LED lights. Launched in 2003, Eclipse develops solar charging carrying cases for all your mobile personal electronics solar backpacks, solar messenger bags, solar camera bags, solar bicycle bags, and other quality cases designed to charge the batteries of common handheld electronics including: cell phones, smartphones, tablets, iPads, GPS units, action cams, and other mobile and wearable technologies. What is NRG Investing In? 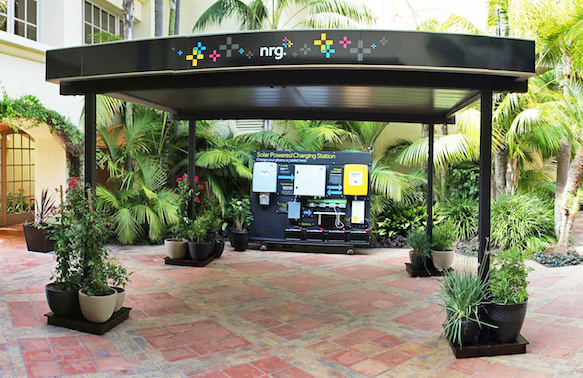 Inspired by Northeastern power outages incurred by Hurricane Sandy in 2012, New Jersey-based NRG introduced a residential solar electric system with energy storage called the Solar Pergola in April 2013. Another innovation inspired by Hurricane Sandy was its freestanding, customizable solar power structures called the Solar Canopy, launched in October 2013, which can address power needs during grid emergencies. Here are some links to our coverage of CEO David Crane discussing technologies that he believes are at the cusp of transforming clean energy, including smart meter technology, plug-in electric vehicles, distributed solar generation, and fuel cells. – 11/5/13 – Entouch Controls, a provider of cloud-based energy management systems for restaurant and retail chains. – 10/14/13 – EcoFactor, a cloud based home energy management platform that takes data from Internet-connected, third-party thermostats and uses it to deliver energy savings in homes. – 7/17/13 – On-Ramp Wireless, a provider of wireless systems that facilitate communication between hard-to-reach devices in wide area networks. – 5/20/13 – EoS Energy Storage, produces low cost zinc-air energy storage for the electric utility and transportation sectors.